Academic freedom and freedom of expression on Canadian university campuses, including at Ryerson, are under siege due to subjective interpretations of “civility” policies, says one of the country’s leading experts on academic freedom. Turk said the university workplace and campus code-of-conduct policies that specifically ban harassment and discrimination are necessary and appropriate. The threat to free speech arises, he warned, when these policies expand to include requirements for “civility” and “respect,” terms that can be interpreted subjectively. The result is that widely accepted forms of human expression, such as hyperbole, mockery, outrage and satire, risk being deemed uncivil and disrespectful, posing a threat to faculty members’ academic freedom. “If uncivil behaviour or disrespectful behaviour becomes harassment or discrimination, it has to be dealt with aggressively. But if it does not, it’s part of what we tolerate in a democratic society,” said Turk. 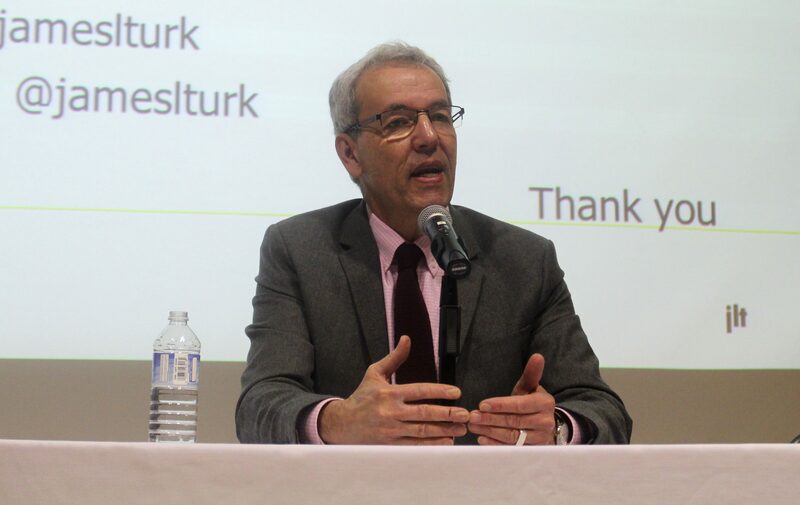 Turk, the author of the recently published book Academic Freedom in Conflict: The Struggle over Free Speech Rights in the University, spent 16 years as the executive director of the Canadian Association of University Teachers (CAUT), which represents more than 68,000 academic and general staff nationwide. His Ryerson appointment began Sept. 1. • Ana Isla – Isla, a sociology professor at Brock University in St. Catharines, Ont., expressed concern over the introduction of a new program that offered students volunteer placements in developing countries and had ties with many conservative Catholic groups. The two heads of the program filed a complaint about Isla under Brock’s “respectful workplace policy,” but it was dismissed. They then took the complaint to the Human Rights Tribunal of Ontario, which also dismissed it. The complaint was later re-directed to the university, which launched an investigation that led to the case being dropped again. “Three years of Ana Isla’s life was taken up because of this bogus use of respectful workplace policies to silence or to try to silence a viewpoint that wasn’t liked,” said Turk. 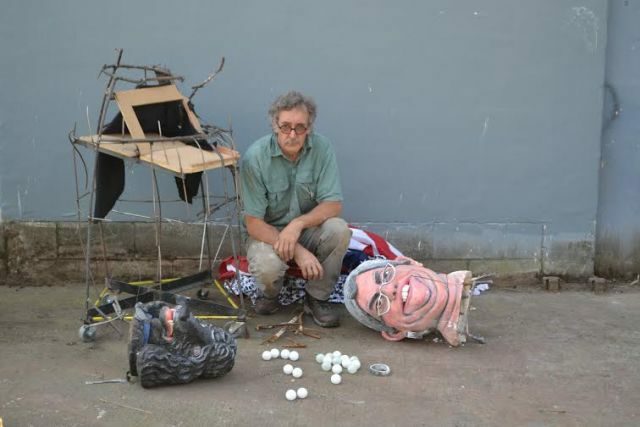 • George Rammell – An art instructor at Capilano University in North Vancouver, Rammell created a large sculpture that caricatured university president Kris Bulcroft. Blathering On in Krisendom, which depicted Bulcroft and her dog wrapped in an American flag, was a response to Bulcroft’s decision to eliminate several programs, including studio arts and computer science. The sculpture was displayed on campus for four weeks until Jane Shackell, the university’s board chair, ordered it removed. It was later returned to Rammell, albeit destroyed. Image courtesy of Inside Higher Ed. • Ken Luckhardt – A former faculty member of King’s University College at Western University in London, Ont., Luckhardt wrote a letter to the school’s president voicing concerns over plans to enact major changes to the peace studies and social justice program. Two faculty members mentioned in his letter claimed his complaint violated the university’s “respectful workplace policy,” showed a lack of respect and posed a threat to their physical safety. After an investigation, Luckhardt was banned from campus, but King’s University College later reversed its position when the CAUT intervened. Turk said academic freedom encompasses the right of professors to criticize what goes on in their institutions and also allows them to exercise their rights as citizens without being punished by their employer. “In the university, if we’re going to have collegial governance, if we’re going to have the institution guided in its policy by what academics think, then those academics have to be able to be free to say what they think about what’s going on, whether it’s terrible or not,” said Turk. He urged students and faculty to consistently promote freedom of expression as a core value of their institutions, and said universities should adopt more concise language in workplace policies.